Wholesale beads / wholesale bead shop. 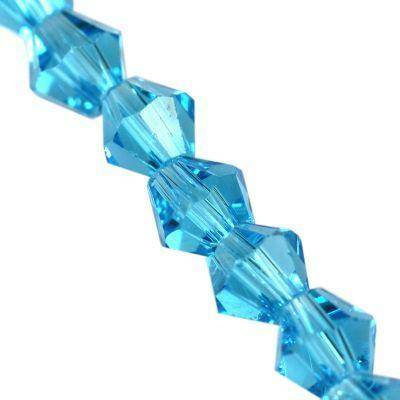 Beads / hand cut faceted bicone clear color/ CrystaLine bicones aqua 4 mm / crystal beads. In our bead shop we sale glass beads at the best prices. Our glass beads you can join with semi-precious stone beads and create necklace. Each bead may vary in size or shape.